You, the parents, and we the ski instructor team, have so much in common! We want exactly the same thing. 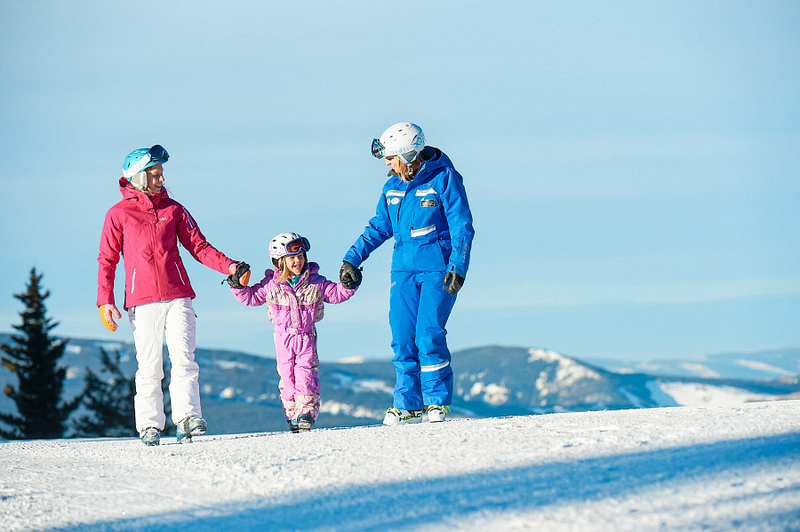 We want your child to have the BEST ski experience ever. We want your kids to be safe, capable, happy skiers. The most important thing your child’s instructor wants to know is this: what is your biggest priority? What do you most want to happen for your child in the course of their lesson? Embarrassingly enough, it wasn’t long ago that I shopped for a new personal computer. At the computer store the salesman went on and on about the technical features of the various computers. Gigabytes, shmigabytes. All I wanted to know was would the new lap top let me email, open and view the pictures and videos. He wasn’t listening to what was of VALUE to me. In some cases parent’s most want their kids to learn to love skiing, to participate in physical activity, to learn to join in with other kids, to progress in their skiing skills, to have an international experience, to be able to ski with the rest of the family, keep up with a sibling, or just to experience the Rockies and Vail Mountain. If we can talk together about what is of the most VALUE to you, we can help set goals and work to make them happen for you and your child. We are instructors, and can be very technical, so help us avoid the shmigabytes. Class lessons. In these group lessons instructors are trained to group together kids with similar skills and learning priorities. They know how best to instruct and guide the group to maximize progress. The advantage to a group lesson is they are a mountain of fun! (Pun intended). The kids in the group feed off of each other and learn from watching each other’s skiing and listening to each other’s questions, as well as from the lesson itself. This is the only school where “copying” the right answer is encouraged! They’ll meet other kids from all over the world, learn to watch out for their ski buddies and get to share great adventures. We’ve seen lifelong friendships develop in our class lessons. Ultimate Four. This also is a class lesson product but guarantees a class of no more than 4 kids. The child to instructor ratio can be smaller and allow for more individual attention. Ultimate Four can be a very fun time as well, and the skiing maximized. Private Lesson. This could be just your child with the instructor, or you can have as many as 6 people in the lesson. Maybe you want a “Family Private” or maybe you are traveling with a group of kids, friends or cousins who want to learn and ski together. The larger the group, the more important is it to communicate goals. If the group has very different levels of skiing ability, the instruction will need to be specific to each and the terrain choices will need to be safe for those with the least skiing ability. If you are hoping for the most improvement in skiing you may want only one or two people in the lesson. The level number is really just a tool for the instructors and represents to them a group of skiing skills. The most important thing is that your child is in a group with other kids who are working on the same skills. They’ll be able to effectively and safely use the same terrain and instruction. The instructor can help talk about skills with you and make the best placement for your young skier. For a private lesson you can request a specific instructor or specific attributes for your instructor. You may feel your child will work better with a woman or man instructor. If you’re interested in specific skills; racing, park skills, big mountain skiing, we can set you up with the right instructor for the job. The earlier you make a reservation, the better we can custom fit the instructor to your lesson. Remember, we want the same thing for your child as you do. If you have any comments or concerns as your visit goes along, PLEASE talk with us. We want to make any adjustments we can to make your child’s visit with us the best Ski experience ever! An Experience of a Lifetime!